Mobile SEO strategy is different from desktop or laptop strategy because of the way people interact with their mobile devices. They've redefined our way of living: they're the first thing we grab when we wake up, and the last thing we see before we go to sleep. There's a strong emotive connection between user and device that shapes our lives and our thinking. We collectively assume that, as long as we have enough battery power and good reception, we should be able to instantly solve any question. Consider how hard it would be today to decipher directions, coordinate calendars, or find facts without a mobile phone or tablet. The same applies to mobile marketing—consumers expect that, within a moment, they should be able to book a test drive for a new car, get a cost comparison for a whole vacation, or get a suggestion for where to have lunch. Consider how you feel when the cheapest flight isn't at the top of your search results list, or the top result of your restaurant search is not within walking distance. From a mobile marketing perspective, consumer lives are a series of individual "micro-moments." Here's a look at the technology that underpins these moments. Be sure to consider using all three in your mobile search campaign. Time targeting is critical. There isn't much point in belaboring this, but there are a few key rules to keep in mind. Mornings are better for organizational micro-moments (e.g., people will have energy to look for insurance policies, open bank accounts or credit cards, etc. ); lunch is a better time for FMCG, food, and restaurants; and evenings are better for luxury expenses such as travel. Adding daypart targeting to mobile SEO campaigns is essential. Recognize that the mobile-to-desktop hand off happens all the time. As eMarketer points out, though mobile is gradually taking over, the majority of travel-booking still happens on desktop or laptop—but mobile seems to be the preferred method for gathering research. Unfortunately, attribution modeling still isn't 100 percent accurate when it comes to mapping users between search and display. Until the technology improves, mobile SEO should be based on clicks, not sales. Ensure that all your mobile SEO campaigns have a degree of location targeting. Target the current, home, and work locations. Time targeting is an absolute must. Don't judge mobile SEO campaign performance by your sales. Micro-moments that generate awareness are just as important as those that generate sales. 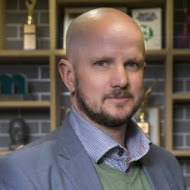 Tim Whitfield, GroupM Director of Operations, stands at the forefront of the fastest moving media industry trend: programmatic media. He’s spent the past thirteen years honing his skills by developing third party ad-servers and campaign stewardship systems and has now helped position Xaxis as a leader in the public programmatic space.